You have probably seen or heard about the blockbuster movie starring Leonardo DiCaprio, Jennifer Connelly, and Djimon Hounsou showing the horrific diamond trade in Sierra Leone. Or you may even vaguely remember a Time Magazine article documenting the return of the blood diamond. What exactly is a conflict or “blood” diamond? Conflict diamonds are rough diamonds that are illegally traded to fund conflicts in war-torn areas, in particular wars in central and western Africa. The diamonds are extracted from mines using impoverished men, women, and children, and even in some cases slaves, who are forced to use primitive and backbreaking methods to extract diamonds from the mines. So now that you know what a conflict diamond is, how do you know if the diamond you are buying is from a conflict-free zone? Due to public outcry and the flood of conflict diamonds entering the market, a global process has been established to trace the origin of rough diamonds. The Kimberley Process Certification, or informally known as the Kimberley Process, is an international diamond certification system established in 2003. The Kimberley Process is a joint government, diamond industry, and civil advocacy organization initiative to ebb the flow of conflict diamonds to the mainstream market. The Kimberley Process is made up of 51 participants representing 77 countries from Europe, Asia, Africa, South America, North America, and Australia. All member countries must attach Kimberley Process certificates to their diamond exports. This government-validated certificate verifies that the batch of diamonds in a sealed container is from a conflict-free zone and has not benefited rebel movements. Each certificate must be resistant to forgery and uniquely numbered. In addition the shipment can only be exported to another country participating in the Kimberley Process and it is illegal for uncertified rough diamond shipments to be either imported or exported by a Kimberley Process participant country. If a country participating in the Kimberley Process fails to comply with these procedures, it may lead to the confiscation or rejection of the rough diamond shipment and criminal sanctions. Today, more than 99 percent of global diamond production is protected by the Kimberley Process, meaning that 99 percent diamonds are certified from conflict free sources. Now that you know about the Kimberley Process, how can you make sure that the diamond you would like to buy originated from a country participating in the Kimberley Process? First, only buy diamonds from reputable companies that can provide a guarantee that their diamonds are from conflict-free sources. A diamond website like www.diamondhedge.com partners only with the top diamond retailers and is also an excellent resource to compare individual diamond prices across these retailers. Second, make sure the retailer can answer any concerns you may have about the origins of the diamond you are interested in buying. It is important to ask, and if you are not satisfied by the answer, find another retailer or go to www.kimberleyprocess.com for more information. Third, check if the retailer has a conflict-diamond free policy. 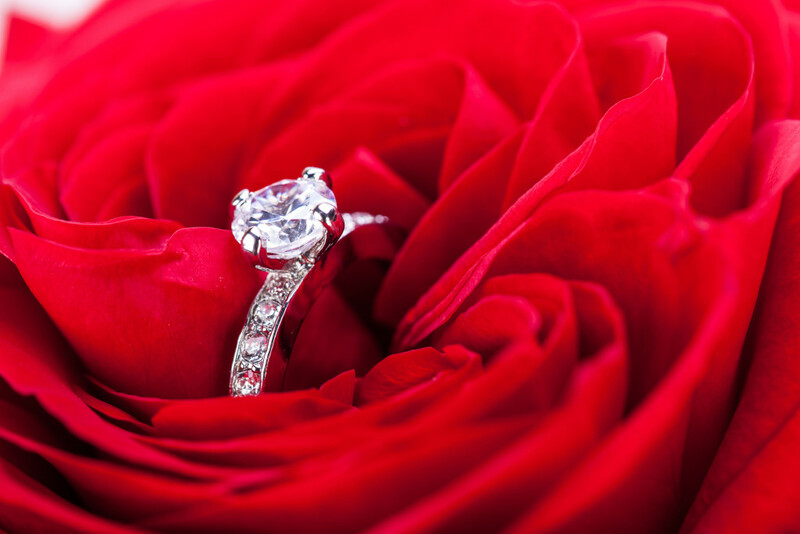 Most reputable companies have a policy of conflict free diamonds when buying an engagement ring.